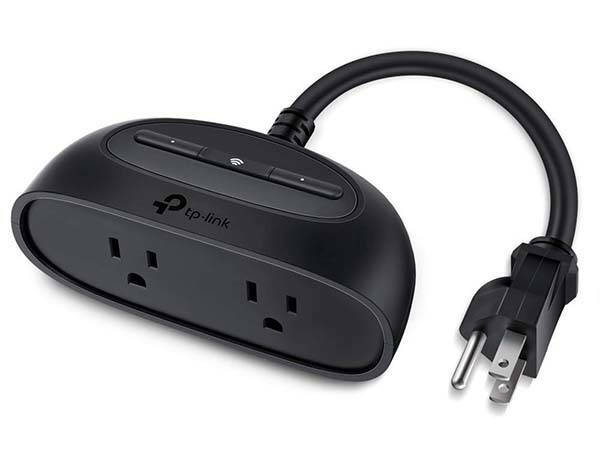 TP-Link Kasa smart WiFi outdoor plug lets you conveniently control your outdoor devices, and it works with Amazon Alexa, Google Assistant and Microsoft Cortana. The KP400 is an advanced and versatile smart outdoor plug that measures 4.9 x 2.38 x 2.29 inches and weighs 1.05 pounds. As we can see from the images, the smart plug delivers a sleek and low-profile appearance design with the solid black exterior and streamlined detailing, and the compact form factor allows you to deploy it outside around your house with ease. Meanwhile, the plug is IP64 rated to withstand dust and splashes of water from any direction. When not in use, the included weather-resistant cover protects the sockets. 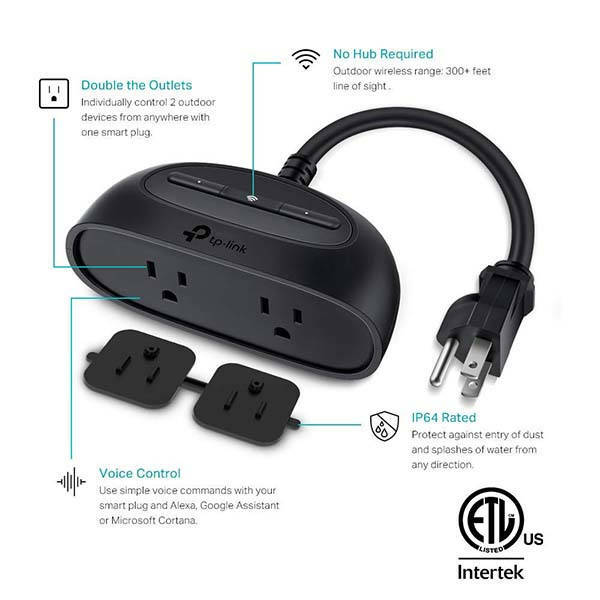 The smart WiFi outdoor plug come equipped with two AC outlets in order to connect with two devices at the same time. Furthermore, using a built-in high-power RF amplifier and special antenna design, the plug delivers a long range WiFi of up to 300 ft. Using its companion app, you can remotely control the connected devices on your phone wherever you’re. Moreover, you can also individually schedule each device to turn on and off at set times. And it supports Amazon Alexa, Google Assistant and Microsoft Cortana, so you can also use your voice to control the connected devices. The Kasa KP400 smart WiFi outdoor plug is priced at $44.98 USD. If you’re interested, jump to the product page for its more details.